The idea of making a farmstead cheese came as we sought ways to make the family farm sustainable and to create opportunities for the whole family to participate in the farm. Scholten Family Farm promotes farming in a manner that improves and sustains the environment, practices good animal husbandry, and upholds personal values where family comes first. 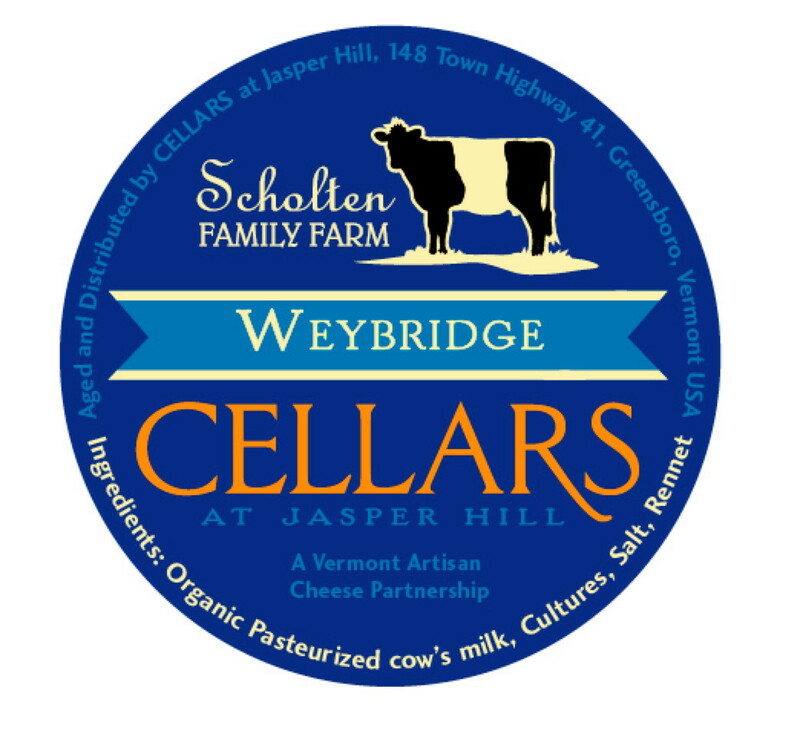 “Weybridge” is made with our own pasteurized organic milk to bring to your family a delicate, lactic-set bloomy rind cheese unique to our region. It is a delicious, wholesome food that no one should go without trying. Know where your food comes from and support local farms! P.S. We now have a farmstand at the farm selling our very own cheese, eggs, and meats. Stop by and check it out! 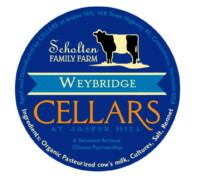 Weybridge is a lactic-set cheese with a delicate, bloomy rind. The lightly-aged style is simply meant to showcase the Scholten’s distinctive Dutch Belt milk. To learn her craft, Patty studied at the Vermont Institute of Artisan Cheese followed by a dedicated period of development, where she and Roger were able to draw upon the expertise of Vermont’ rich artisan cheese community.